Which better Early-Alpha/BETA OR Final Release? 1. Which better Early-Alpha/BETA OR Final Release? I just made video editor and I do not own this video, we found this video which graphic has improvements of Early-Alpha more than Final Release. Early-Beta-Alpha vs Final Release - The Return of Tommy Jarvis. 1 - Tommy Intro look cooler (bushes fall off). 2 - Tommy is holding a gun instead of put the gun on his back. The early alpha graphics are far better, but theres a valid reason for that. If I remember correctly, they need to dumb-down the graphics for full release in order to make the game run better across the board. @JPops, @DamonD7 and @Kodiak Isn't this a duplicate thread? I've already from search "Alpha", "Early-Alpha" said no found the thread. Your answer isn't voted for pick better for graphic early-alpha or release now. I definitely remember seeing this come up before. I think it was beta though. Either way, same thing. Yes parts of it looked better. Maybe they will eventually have the game running well enough to put the graphics back to what they were. Until then, this is essentially a duplicate thread and should be treated as such. This has come up before and this is rather typical in most games. Basically we build a highly polished section for show and then start to build out and create more content and so forth. The more content you make, the more memory and resources that are being allocated to run the game. The more you run, the less fidelity you get overall. The way that our game works in Unreal as an online title with a lot of interactive parts (characters controlling vehicles, interacting with one another, a ton of spawned items on the map, etc...) all cause a lot of memory to be used. So; the game does look really darn good, especially on PC with Epic settings, but depending on where you run your game on what platform might cause you to see just a little less. Single player on the other hand, is all loaded in locally for you, which is why games tend to look better in single player, or maps are larger, or various ways to help boost fidelity without losing much. Are you sure? I voted it too. My vote was "release now". Thanks for the reply, So this will be the feature to next update of PC and Console on online and single-player? Thanks for voted! I want to about know. Very good explanation. We appreciate you dropping in. Does this mean single player will be more "polished"? Or does the same statement apply? Because there was too much light in certain unnecessary places in the Alpha. Taking out the fog (in which is amazing), even the camera is better positioned in the final version. Edit: I said this because of the flashlight. It needs to be useful in some way. I think the maps should be darker. But other than that this game looks great! I'll always feel the sound slips from Alpha should come back. I'm waiting for F13th: game upgrades to early-alpha and UE4 better in graphics. So if a possible update of the game version may take time long Gbtypes more like 20GB or high. Seeing as Jason is a joke to deal with now, I'd say any early build compared to what we currently have is better. I really liked that they had a silhouette showing the kill jason could do. also like him walking towards the kill spot instead of just teleporting to it like in the final release. I'd love to seem them bring that back instead of teleporting and just have jason be invulnerable when the kill is activated. as for the graphics and everything, based on ben's response maybe the singleplayer maps will look a lot nicer since its local as opposed to online, but i'm not holding my breathe. Bump it, EDIT: Added full a video for early-alpha details more. Release now. Because early alpha footage is just a slice of what developers have in store for the game and it's easier to render that. I do like the camera angle from the alpha but after watching the full video, the current version is overall better. "current version" Which it is early-alpha or final release? "Current version" = Final release. For the alpha, the centered and pulled back camera angle on Jason looks better, as well as the game's overall lighting and color temperature. The alpha looks more like a movie but you can see that they're using a lot more processing to achieve that smoother, cinematic look. No console would be able to handle that processing, nor could a decent gaming PC. Could there be clever ways of getting that look without hurting performance? I don't know, ask Nintendo. One other thing I noticed is that the alpha version of Jason 3 looks and moves a little more like the movie. They beefed up his shoulders in current version. He has more of a hunched look now. Well, PS4 Pro + Xbox ONE X has enough RAM and Driver powerfully so. While the Xbox One X is very impressive, you would probably need a $3000+ PC to run the alpha version as a full game. 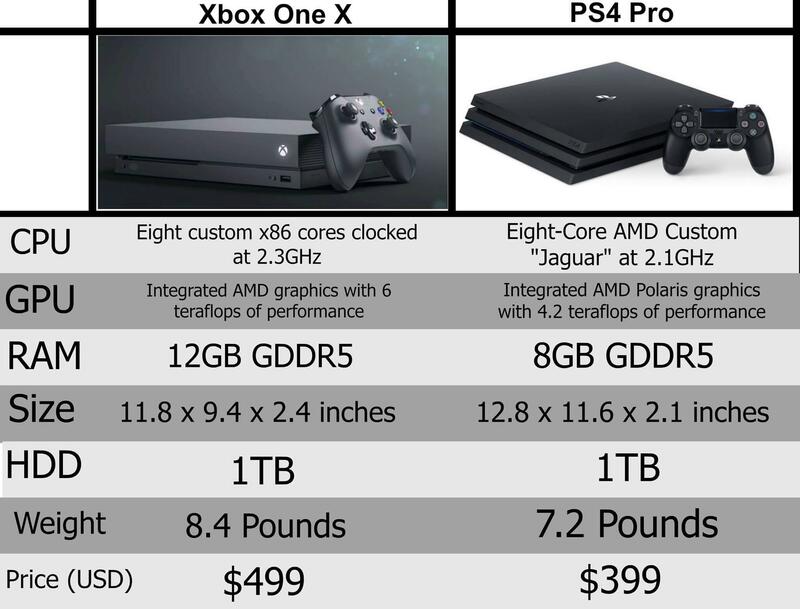 The graphics card alone would cost more than the entire Xbox. Computing is great right now, but it's not that great yet. Are you sure? Have you seen controller was Xbox one from an early-alpha video? It is pretty can play a game enough system. The console can play in Black Ops 3 and P.T. Silent hills - demo & Visage - trailer. A larger storage more than 50GB. I'm pretty sure. There's a lot going on in F13. The maps are fairly big, lots of animated trees and grass. The detail shown in the alpha is very high, with lots of post processing. Storage wouldn't be a problem; computing power would be. The Xbox One X is better than a $500 PC when it comes to 4k, but the $500 PC is equal to the Xbox at 1080p. The Xbox is probably worth more like $600 to $800, but console makers under-price their consoles because they make their money on games. This video does a great job at explaining the differences between the platforms. @GunMedia_Ben When you say "single player", do you mean that generally? Will single player Offline Bots benefit from this? Will the SP Challenges have a detailed, cinematic look similar to the alpha?